Hitting the Road with Our Community Partners - The Junior League of Boston, Inc. 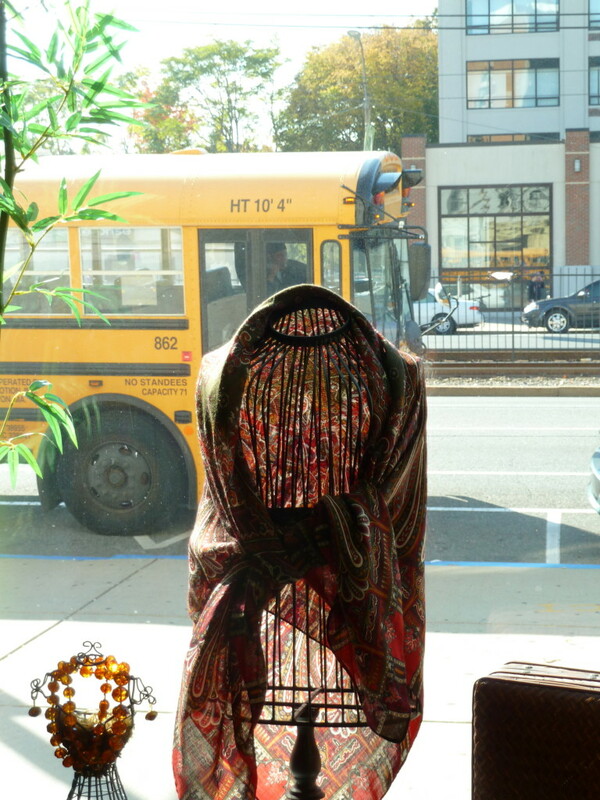 The big yellow school bus from the window of Dress for Success. I moved to Boston from Saint Louis almost a year and a half ago and decided to join the Junior League of Boston after hearing of all the remarkable charitable opportunities and empowering women involved. This year I was fortunate enough to be a part of our League’s first ever Community Bus Tour. I was particularly excited for the chance to spend time with fellow members and learn more about the League’s philanthropic opportunities while taking in the sights of Boston in a big yellow school bus! On October 19, approximately 75 Junior League members filled two big yellow school buses to pay a visit to our community partners across the city. We stopped at several community placement centers where other members provided highlights of and insights into our relationship with each organization. We were also honored to be accompanied by several of our League’s leaders, including: current JL Boston President, Tracey Manzi, President-Elect, Audra Dainora, and other members of our current Board of Directors. Between stops at community placement centers, League members detailed the history of various city landmarks. We passed the Museum of Fine Arts (MFA) and the Isabella Stewart Gardner Museum. I had toured the MFA during my first week as a Boston resident, so seeing the site brought back fond memories. I have not visited the Isabella Stewart Gardner Museum yet, but it is now officially on my Boston bucket list! The buses also passed Jamaica Pond and the Arnold Arboretum, which is the oldest public arboretum in North America. Since I am relatively new to Boston, it was an especially enlightening experience to learn more about the city that I now call home. The first stop on the tour was Dress for Success, a community partner whose mission is to promote the economic independence of disadvantaged women by providing professional attire, a network of support, and career development tools to help women thrive in work and in life. Upon arrival, each member donated an accessory. After donating the items, the group listened to an inspiring speech by a fellow League member about her personal experience with Dress for Success. Hearing about the project was an eye-opening experience since feeling confident and well-presented at work is a part of my life that I sometimes take for granted. I can imagine that looking “the part” would make a job interview less intimidating, especially for someone not accustomed to the professional world. The last place we visited was the Boston Renaissance Charter School (BRCS) where we heard presentations from leaders of different community service placements such as JLB Arts and Kids in the Kitchen (both offered at the Boston Renaissance Charter School itself), Done in a Day, Leader Within,Strong Women Strong Girls, JLB Events and Germaine Lawrence. Overall, the Bus Tour was very insightful and provided me with a better understanding of the breadth of philanthropic work that we do. The ability to come together as a large group and serve the community at such a detailed level is incredibly moving. The stories of lives Junior League members have touched made me realize how lucky I am to be in a group with such inspiring, driven and talented women who are passionate about improving our community. 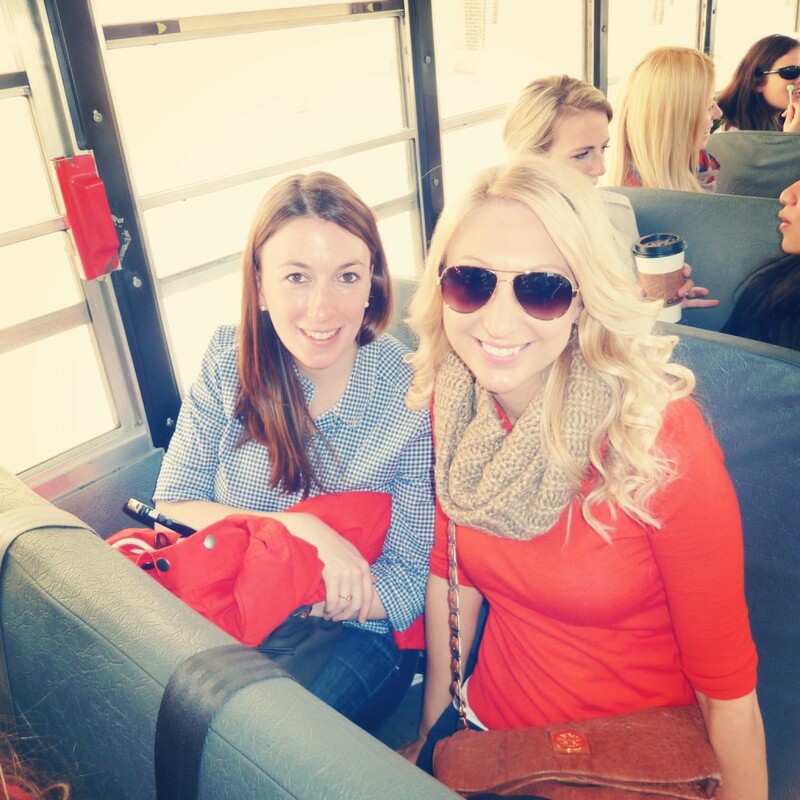 Amy and her fellow Provisional Group member, Liz, relive grade school while learning about Boston and the League. – Amy Mangano joined the Junior League of Boston this past summer and is getting to know the organization as a Provisional Member.